The 26-year-old Leicester’s midfielder Danny Drinkwater has been named in the England squad for the Euro 2016 warm-up games against Germany and the Netherlands. This is going to be a big break for 26-year-old Danny Drinkwater as he got his first call-up to the senior national team. Former England captain Terry Butcher also supported his inclusion into the team by saying that Danny Drinkwater is fully deserving of his call-up into England’s squad. England may not have been considered as the best bets to lift the EURO 2016 as other European side. However, there are hundreds of markets open including Online Bingo as the campaigns come to a close across Europe. His selection came at the expense of veteran Manchester United midfielder Michael Carrick. Tottenham full-back Danny Rose and Liverpool striker Daniel Sturridge are also included in a 24-man squad. “From a midfield position he has made more tackles than anyone else in the Premier League so he is there on merit,” Butcher said, speaking on Sky Sports Today. “He has been at the fulcrum of a lot of the Leicester attacks and also helps to stop teams from playing. He is very strong and a good long passer of the ball as well. “If you look at other players in that midfield area, he is head and shoulders above them in terms of his passing and tackling in particular and what he can give a team. “We will wait and see if he can progress to the next level. It is a massive leap from the Premier League up to international level but he has earned the right to be there,” he added. 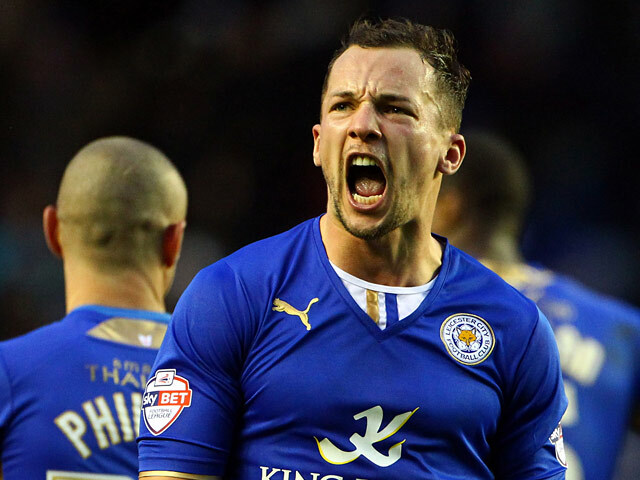 Roy Hodgson will run the rule over Leicester midfielder Danny Drinkwater ahead of naming his next England squad.